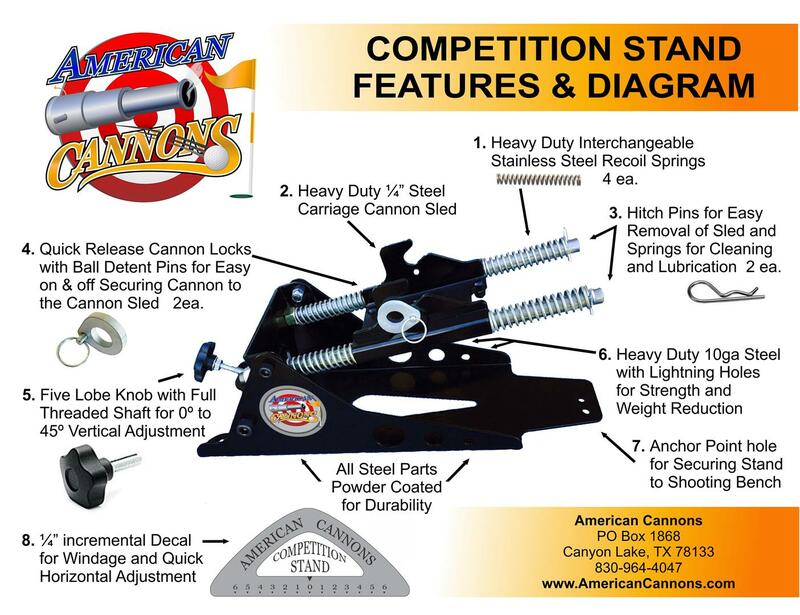 Our competition cannon stands are designed with you in mind. 10ga heavy duty steel body with lightning holes contain an easy to adjust knob, quick release cannon locks, heavy duty recoil springs, and a 1/4 inch incremental windage adjustment visual guide. Our goal is to make your cannon as easy to aim as possible.